Installed on vehicle and then removed because I ended up selling the GS. 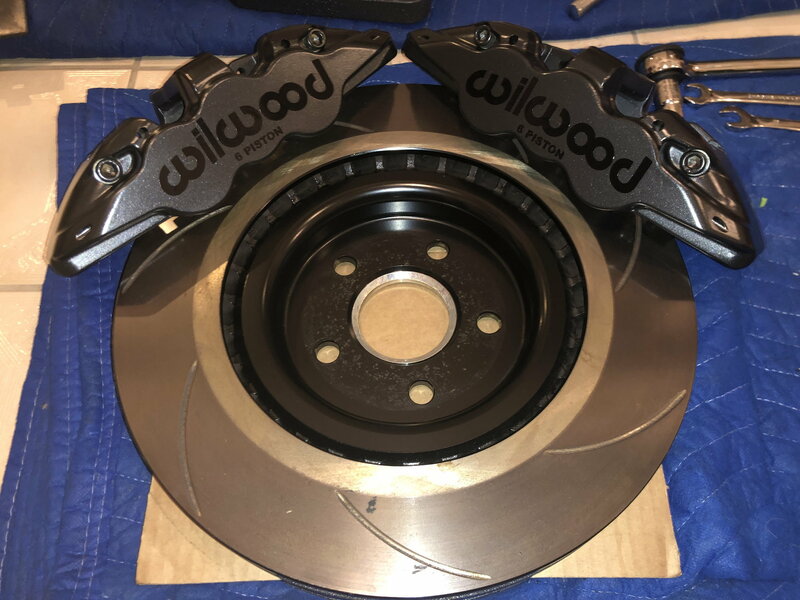 Wilwood 6 Piston Front Big Brake Kit for GS 350. OP - Please get a voucher to PM me or any other mod to re-open thread . Make sure your voucher is qualified to vouch ! FS rules about voucher and their qualifications can be found on stickied threads on top of the MarketPlace Page . And to make it easier for all , the rule states : you need a voucher " if your posts are less than 300 regardless of the length of your membership "
Guys, get your vouchers ready before even starting a thread if you don't want your thread to be closed. We have heard it many times .."vouch coming" .. either no vouch comes or it comes after a couple of days or vouchers are not qualified to vouch. Don't get mad with the mods if your FS thread is closed . Nothing personal , mods are just doing what they are suppose to do, that is implement the forum rules . Last edited by gerrb; 01-29-19 at 11:17 PM. is this for RWD or AWD GS? What's included in the sale? What size is the rotor? Will this fit 2015 GS 350 F Sport? How much estimate shipped to 91790? Last edited by NVRLAND; 02-17-19 at 02:42 PM. Yes it will fit a 15 GS 350 F-Sport. Guys, get your vouchers ready before even starting a thread if you don't want your thread to be closed. it would certainly help if you guys didnt have some terrible 'vouch system'. i have no friends who are in to cars, how am i supposed to sell something on here without a vouch? with paypal buyers protection and other safe guards put in place, there is no need for these silly vouchers. Do you have any other pictures? Couldnt agree more with you. I had the same problem with that BS. Let’s treat a bunch of adults like little school children and hold their hand to make sure they can safely cross the street.